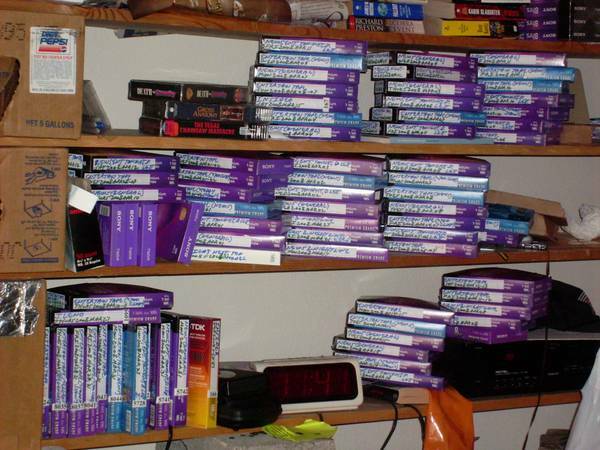 best of craigslist: A trip down Analog Lane- 27 years of video taping American history!! A trip down Analog Lane- 27 years of video taping American history!! 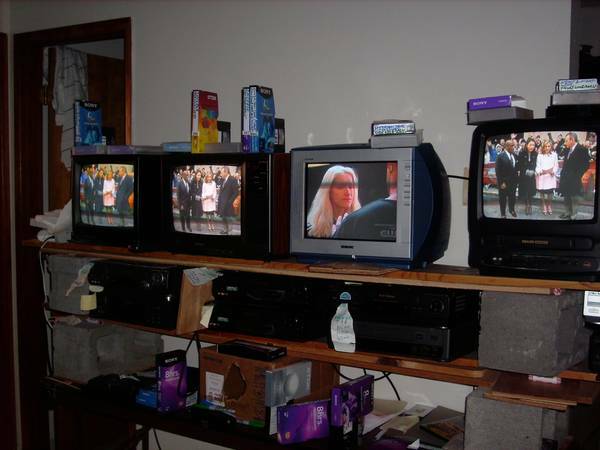 My name is Don; from Feb, 1987 [left the Navy in January,'87 USS Saginaw (LST-1188)- I got my 1st VCR from Circuit City in Norfolk Va. in November/December of 1986] to very early 2014 I video recorded (VHS) television shows of all kinds- news, magazine shows, David Letterman, Johnny Carson, Jay Leno, It's Gary Shandling's Show (the 1/2 hr. comedy show where he was a condo/home owner and had fun with HOA), Siskel and Ebert movie review broadcasts, lotsa' MTV, etc. etc.- using my bank of 12 VCRs and being a virtual slave to VHS purchasing, labeling, and programming. Videotaping was everyday, not just sporadically. I kept the taping continuous and constant. 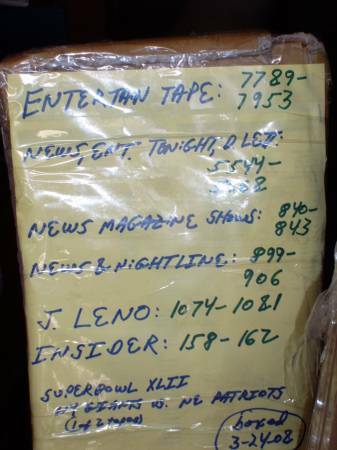 The tapes are arranged in both chronological and numerical order (for example, you can see what the world was doing on a particular date). They are divided into categories, ie, Jay Leno, News, News & Nightline, Today Show, etc. Sports? Just x-games, superbowls, and some Olympics coverage. I feel my video tape collection has some worth, ie, its fascinating to look at TV shows of the past when they were originally presented and see the "outdated" commercials or simply to see living history; I am not married and have no one to really pass them on to (I'm 62). I'm looking to give the collection- free of charge naturally- to someone who would appreciate owning this collection and giving it some "TLC." NOTE: Due to feedback I'm getting I guess I must state I'm pretty much requiring that the collection be taken as a whole- not just part of the collection be taken, i.e., I've had interest in just Johnny Carson tapes or early MTV (before it went south). What you do with the collection after that is your business. Do you have enough room/shelving in your home or storage for these tapes? 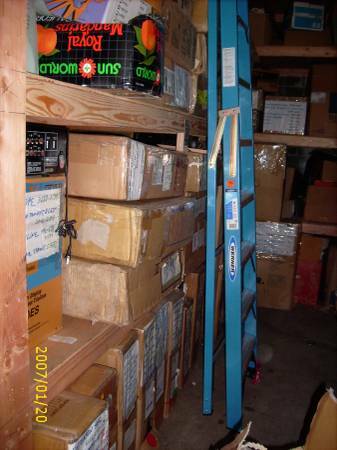 Tapes are stored in boxes (mostly bicycle boxes); shipment/transportation is at receivers expense. I advise U-hauling. Number of tapes: approx. 23-24,000 (consists primarily of 6 and 8 hr Sony and TDK tapes).